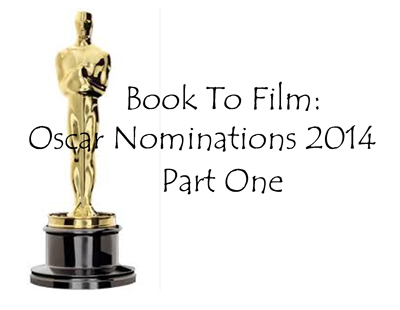 Many of the films nominated for Academy Awards in 2014 were derived from books. Below are some of the films, the category (or categories) they were nominated in (and if they won), and a little bit about the books that the screenplays were adapted from. Nominated for: Best Picture, Best Supporting Actor, Film Editing, Sound Editing, Sound Mixing, Writing (Adapted Screenplay). Captain Richard Phillips is an American merchant mariner, transporting various goods around the world on cargo ships. While the work is difficult and often dangerous, it is more so when the ships have to travel around the Horn of Africa- more specifically, around the country of Somalia. These pirate-infested waters bring fear to the hearts of most sailors, who are virtually defenceless against the cunning, innovative and desperate people who hijack ships and hold their crews to ransom for millions of dollars. With little security and thousands of miles separating them from patrolling vessels, these container ships, barges and fishing boats are often targeted by ruthless pirates who are armed with AK-47s and pistols, and who are determined to make as much money as they can from the rich, foreign merchant vessel companies. While there have been some international deaths at the hands of these pirates, until 8 April, 2009, they had never targeted an American-flagged ship. Richard Phillips was captaining the Maersk Alabama on this day, when the vessel was set upon by four Somali pirates in a skiff. Armed and dangerous, the four quickly hijacked the boat, but they didn’t plan on the determination of the captain and his crew to fight back and protect themselves. Captain Phillips, along with his twenty crew members, played mind games with the four, eventually managing to get them off the boat. However, Captain Phillips ended up going with the Somalis as a hostage, and a tense five-day standoff ensued between the pirates and the American Navy. Meanwhile, Phillips’ wife Andrea, his family and his friends, waited anxiously at home in Vermont, America, searching for any information or developments in the situation. This true story is gripping and is written extremely well. You can just imagine the fear, helplessness and determination that the Captain experienced as a hostage in the high-seas, at the hands of an unpredictable group of Somalis who got a lot more than they bargained for. 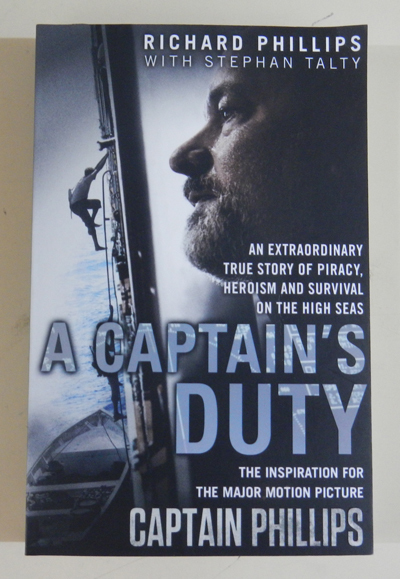 By doing what he saw as his duty as a ship’s captain, Richard Phillips has dealt with extraordinary events, and these have been perfectly translated across into an Oscar award-nominated film. If you have ever read the children’s picture story book, The Gruffalo, you will appreciate the humour, clever writing and colourful illustrations of Julia Donaldson and Axel Scheffler. Now, another of their popular books is set to hit the spotlight, having been adapted into an Oscar-nominated animated short film by Max Lang and Jan Lachauer. Room On The Broom is an amusing and magical tale, which children love for the funny content, and adults love just as much for the clever rhyming. 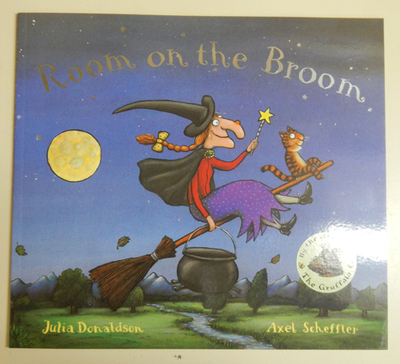 The story starts with a witch and her cat, who decide to go flying on her broom. While on their journey, there is an enormous gust of wind, which takes off with the witch’s hat. Flying down to the ground, the two search for the missing hat, and come across a little dog, who has found the hat. He asks if he can join them on the broom and they oblige. They fly a little further, and then that annoying wind starts up again, this time taking the bow from the witch’s plait! As the story progresses, the wind causes more and more mischief, the witch loses more and more items, and the broom gains more and more animal occupants. But then the witch and her crew come across a terrifying, fire-breathing, witch-eating dragon, and it’s up to the witch’s new friends to save her. How can they trick the nasty dragon and get everybody back to safety? This is a fantastic book for children learning about rhyming, and the colourful and fun illustrations will keep them amused for hours. Donaldson and Scheffler’s collaborations are always delightful, and this book is no exception. Nominated for: Costume Design , Production Design . 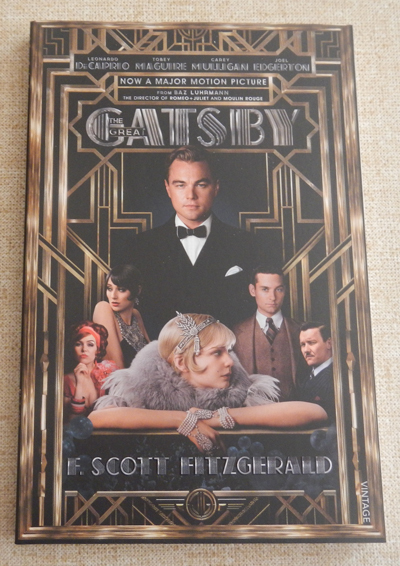 Set in the roaring 20’s amongst New York’s elite, The Great Gatsby tells the tale of Nick Carraway, a Yale graduate and war veteran who has travelled to the city to make his fortune. Unbeknownst to him, he has moved in next door to one of the most exclusive addresses in West Egg- the mansion of the little-seen yet extremely rich and infamous Jay Gatsby. Best known for his wild and extravagant parties, Gatsby is like a ghost, known personally by few but ‘known’ by everyone who is on the social scene. After a chance encounter with his new neighbour, Carraway (who is the narrator of the story) discovers that his cousin Daisy Buchanan is a former paramour of Gatsby’s, and that despite the years that have passed (and her marriage to Carraway’s acquaintance Tom), Gatsby is still deeply in love with her. He learns that Gatsby holds the parties, hoping to entice her to visit, and that every night he looks across the dock towards her home. As he gets to know Gatsby over time, Carraway is encouraged to set up a meeting between the two, but without her knowledge. After a tentative and awkward reunion, the pair begin an affair, and Carraway finds himself caught in the middle of the deception. Meanwhile, there are other illicit relationships at play, and when all the parties involved begin to realise what is happening, the situation really starts to get ugly. An accidental death, misplaced blame and a murder/suicide towards the end of this novel mean that most of the characters have an unhappy conclusion, with Carraway left to pick up the pieces in this unfortunate saga. It’s no surprise that Baz Luhrmann, director of the extravagant musical films Moulin Rouge, Romeo Juliet and Strictly Ballroom, decided to take on the extraordinary, bright and beautiful world of The Great Gatsby. The champagne-drenched parties and incredible outfits that are described in the novel are the perfect backdrop for his film-making style, and are one of the reasons why this film was nominated for, and won, the above awards. Nominated for: Best Picture , Best Actor, Best Supporting Actor, Best Supporting Actress , Costume Design, Directing, Film Editing, Production Design, Writing (Adapted Screenplay) . It’s something that most of us take for granted, and unless we are threatened with the loss of it, many of us would never realise what a gift our freedom is. Luckily, living in developed nations, most of us will never have to worry about our freedom being taken from us. But in some countries, where human trafficking and slavery is commonplace, some people live with this very real fear. Unfortunately for black people in America in the 1800s (and sadly even into the 1900s), this was also a very real fear. Free black people had to be careful where they travelled, having to avoid many states where slavery of ‘negroes’ was the norm, and in fact, expected. These poor people were considered property- penned, bartered for, bought, beaten, and whipped by their white masters- and often worked in gruelling conditions on plantations and farms, with little food to sustain them. 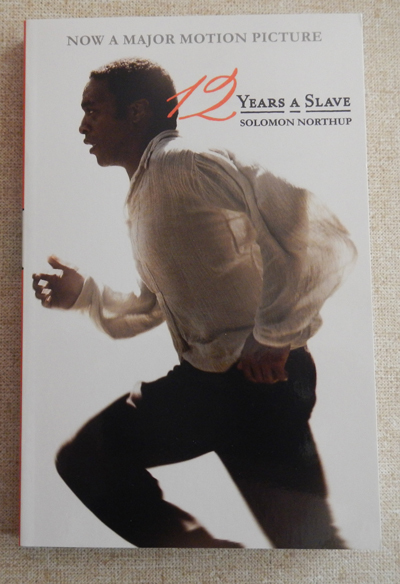 This book, 12 Years A Slave, tells the harrowing story of Solomon Northup, and educated and freeborn black man from New York State who, travelling to Washington D.C. to try and make some fast money for his poor family, was drugged, beaten and sold into slavery. For the next twelve years, he was forced to work in Louisiana cotton plantations, entertain white people by playing the fiddle (admitting it was his only real pleasure) and partake in backbreaking labour. He witnessed countless acts of cruelty against his race, including beatings, torture, murder and the separation of parents from their children. It took twelve years before he could find someone sympathetic to the plight of the slaves, and trust in them enough to be able to get word to his family about his whereabouts, ensuring his eventual release. This biographical account is detailed and stark, and allows readers to see the events from a dual perspective (from someone who has experienced both freedom and slavery). This is a dark portrait of America’s history, but a very important one to read.